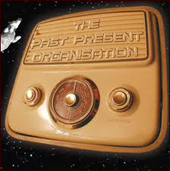 The Past Present Organisation take movie soundtracks, jazz and exotica from the 60s and 70s and wrap them up in contemporary beats and pop sensibilities. Their 2002 debut ‘Some Hotel This Turned Out To Be’ by John Winfield, Keith Osborne and Matt Cox under the PPO banner followed their production work on Jackie Joyce (aka Helicopter Girl)’s Mercury-nominated debut. A second album with Helicopter Girl also included a reworking of the track ‘Beautyfull’ (renamed ‘Umbrellas in the Rain’), which most pleasingly remains a featured track on many a person’s myspace page. This is a wonderful and timeless record. Have a listen and see if you agree.